The retina is a delicate, light-sensitive tissue covering the interior wall of your eye. Like film in a camera, it receives images projected through the lens of your eye and sends these images to your brain through the optic nerve. When the retina is damaged by injury, illness or as a result of aging, your vision becomes impaired. Eye Consultants of Syracuse provides medical and surgical care for retinal conditions, including treatments for diabetic retinopathy and macular degeneration. Retinopathy is a disease of the retina. Many people with diabetes develop diabetic retinopathy, which damages vision and can lead to blindness. Usually, there are no symptoms of diabetic retinopathy until it changes your vision. When this happens, diabetic retinopathy is already severe. 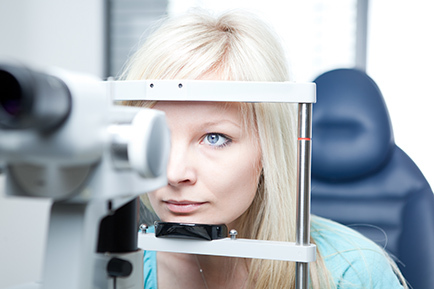 An annual eye exam will ensure diabetic retinopathy is caught early enough to treat it and help prevent vision loss. Age-related macular degeneration, or AMD, results from degradation of the small central portion of the retina, called the macula. This area is responsible for the close-up vision required for reading and other fine-detail tasks. Although macular degeneration doesn’t affect peripheral vision, if left untreated, it eventually causes central vision loss, making reading, driving and other common tasks impossible. Early AMD symptoms are mild and may go unnoticed. This is unfortunate because vision loss is irreversible. The physicians at Eye Consultants of Syracuse can determine if changes in your retina and macula indicate early AMD during regular eye exams. The good news is that when AMD is diagnosed early, much of the associated vision loss may be prevented or slowed with preventive steps, such as proper nutrition, new laser treatments and UV protection from the sun. Eye Consultants of Syracuse is a regional leader in the prevention and treatment of retinal illness. Thanks to new technology and medical research, we can better treat retinal diseases, reducing the risk of progressive vision loss and helping you keep your sight for years to come. Click here for more information on diabetic retinopathy. Click here for more information on macular degeneration.